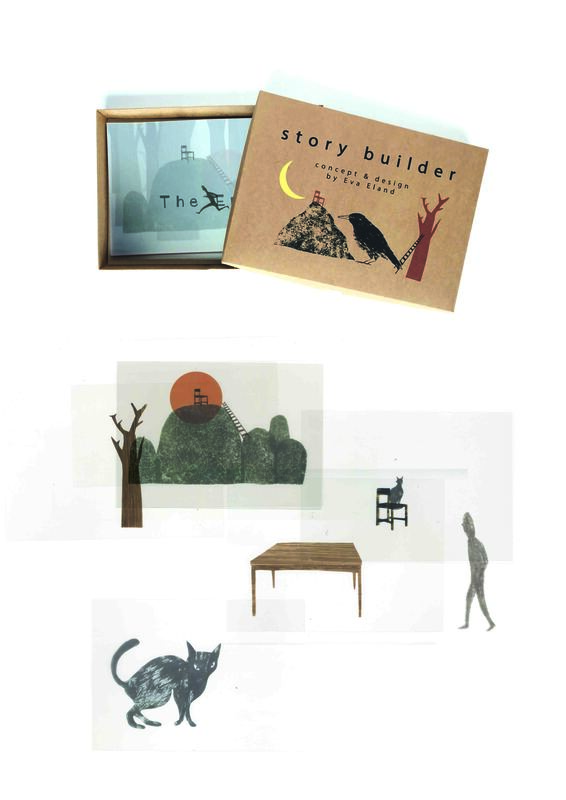 Story Builder is a game I’ve developed during my master’s degree Children’s Book Illustration at the Cambridge School of Art. It consists of images printed on transparencies and you can create your own compositions and stories with it. Together, by finishing each others story for example, or by yourself. I’m still developing this game, and also had some brilliant feedback from the Children’s Forum at the Discover Story Centre meanwhile that I want to incorporate. I just have to focus on other projects for a while before I will have time to revisit this game.